Let’s focus on the business, shall we? While not exactly a New Year’s resolution, which usually wind up in the trash anyway before the first month of the new year is out, this is a realization of sorts. 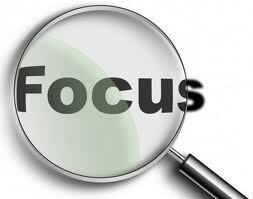 If I’m doing anything other than focussing on the business, I’m not only wasting my time, but also that of my contact. Okay, this seems like a patently obvious statement, but there’s a situation in particular that I’d like to relate. Earlier on this blog I’d spoken of my plans to start an Interfaith Dialogue here in Almelo. My goal is to do in my private life what I do for business, namely: facilitating those from different cultures to work together for greater understanding and benefit. I related in my post from 15 September, 2010 (“The Imam says . . . “) my first visit to the mosque to discuss the possibility of a cooperation with my own church. Why the “business-like” approach should even be a question says a lot about my approach until now. It suddenly dawned on me, as I was sitting with the Imam and the Board Secretary for a follow up visit on the last day of 2010 that I hadn’t stated my case clearly enough: what’s in it for them? Worse yet, I was waiting for them to offer me something. Why? For some reason I had the idea that they would welcome an enthusiastic non-Muslim in their midst. As if they were sitting and waiting for me all this time. Somehow I was expected a hearty handshake, a brotherly slap on the shoulder and shouts of, “Welcome!” Instead, their attitude was somewhat suspicious, as if my motive was to try to sell them something. Or, worse, to convert them. After some time of circling around the main issue, the Secretary confided in me , “Listen, we’ve got plenty of volunteers. That’s not the problem. What we need, however, are volunteers with vision, experience and education.” Ha! Bingo! The light suddenly switched on – of course: if the added value is not crystal clear, why invest in it? Just because it’s my so-called “free time” doesn’t give me the right to waste their time. Time is valuable, whether it’s for business, pleasure, personal or private. So that means back to the drawing board. Or, rather, to the drawing board for the first time. Project proposal, official position from the church (something like “Intercultural Dialogue Coordinator”), and presentation to both church boards. Let’s get to work!